Since receiving the Emerging Young Leaders Award, our ten recipients have been quite busy changing the world and being the change that they wish to see in it as well. Two weeks ago all ten leaders participated in a webcast with Legacy staff and the Department of State. It was the first time many had seen each other in six months and there was a lot of exciting news to share. Here is a recap of the amazing updates from the five remaining #EYLeaders. Read part one of our update from last week. 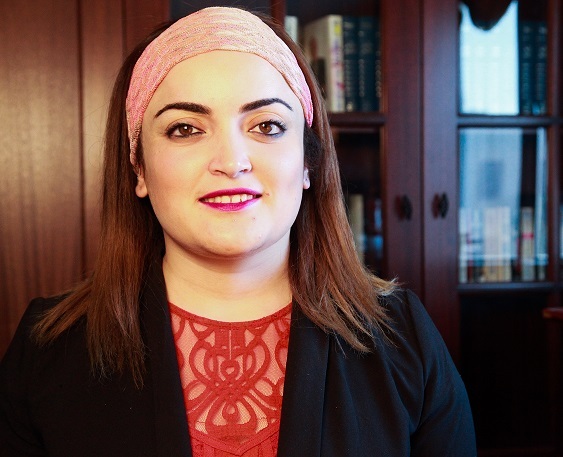 Ahlem Nasraoui from Tunisia has had the opportunity to meet with the U.S. Ambassador to Tunisia where they discussed her Peace Lab Project. The Peace Lab Project is an initiative to educate people on conflict resolution and ways to create peace in their communities. As a result, Ahlem received a grant from the U.S. Embassy in support. Soon after Ahlem received another grant from the Middle East Partnership Initiative to kick off the Unleaseh Venture Bus which tours Tunisia to teach young graduates how to create startups and hunt jobs. She received an additional French award for a proposal that will be announced in September of 2017. Ahlem partnered with the Ministry of Education to mentor 350 students regarding CVE and women empowerment during a summer camp, she launched a boot camp in her hometown of Kasserine training 20 peace ambassadors in partnership with the US Exchange program YES, and she has even recently completed an online certification in countering terrorism practices with Leiden University in the Netherlands. In addition to all of these wonderful accomplishments she participated in an event called Failing Forward: Turning Mistakes into Stepping Stones for Success hosted by US AMIDEAST. She has been invited by MasterPeace to speak about peace and security in Tunisia. She has created a group for Tunisians interested in scholarly analysis of terrorism and war studies. They share articles and blogs. And to top it all off Ahlem has been selected by Saint Francis Xavier University, Canada to conduct research on women’s role in fighting radicalization. She is currently working as Senior Project Manager and Research lead on CVE and social change with a British Media Company in Tunisia. 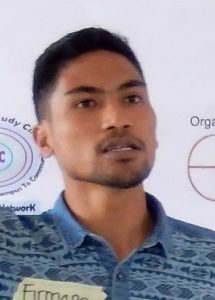 Zulfirman Rahyantel from Indonesia has been busy promoting peace building and youth empowerment with the Non-Violence Study Circles Network (NVSC), where he has been a member since 2012. His work is mostly focused in the city of Ambon and the Maluku Islands. From June-August 2016, Zulfirman and NVSC members facilitated a three-day Training Of Trainers workshop for 31 students at UnPatti and 28 students Institute Agama Islam Negeri – IAIN Ambon (Islamic State University Ambon). During Ramadan in June this year and then again in October, Zulfirman traveled back to the southeastern Coast of Seram Island, his ancestral home to initiate illiteracy reduction, education development and community improvement programs in Birit and Keta villages. While in Keta, Zulfriman and ten volunteers taught over sixty children (ages five to twelve) to read and write. He has plans to establish a public library, study corner, and playground where children can play and learn. In Birit, a very poor and remote village without access to electricity, and about an hour walk through the woods and creeks from his village, Zulfirman and nine high school students initiated Sakola Pante Birit (Birit Beach School), an informal reading-writing course for 28 kids (age 5-20) and invited 12 volunteers to help them. The volunteers go to the village every Sunday morning to teach. They have the full support from people and school officials in Kwaos including donations of clothes, books, pencils, and lunch for the volunteers. In just 6 months, students have gone from not knowing the alphabet, to writing and reading their names, as well as having confidence to talk in public. Zulfirman also promotes NVSC and talks about the Emerging Young Leaders Award when he speaks at local and international events. Recently he joined the U.S. Consul General at the American Corner at UnPatti for a discussion on conflict resolution and peacebuilding. He received the Gempita Award (The Best Young Generations Choice Award) at PRO2RRI Ambon. He was invited to speak at the Conference toward Inclusive Religious Education in the Netherlands and Indonesia. On September 29, Zulfirman participated in a dialogue with Mr. Shane Barrow, (National Director of Emerging Professionals Internship Corps at American Conservation Experience), fellow students and lecturers at Forestry Pattimura University. Nino Nanitashvili, completed her Master’s thesis in early July and in that same month was selected as one of five entrepreneurs to meet and dine with U.S. Secretary of State, John Kerry, during his two day visit in her town of Tbilisi, Georgia. Nino was also recently appointed as the Country Manager for Elva, where she has been a part of the team there since August 2014. While there she helped to build the Peace Games’ Project, as well as design and deliver coding classes in rural Georgia. One project near to Nino’s heart is the “Peace Park” game, developed by Elva and IGDA Georgia/StormBringer Studios, with consultations from Mark Rein-Hagen, supported by EU/UNDP Joint initiative COBERM. The game was mentioned in a US Institute for Peace article recently. “Peace Park,” combines fun and strategy to achieve the ultimate goal – to make all park visitors coexist peacefully. It is suitable for kids and adults and the sandbox mode allows multiple solutions and hours of replay-ability. Nino and the Elva team, along with additional agronomists are working on a startup called Traktor – a digital assistant for emerging market farmers. Traktor Beta. They hope to “go live” in November 2016 with full-version to be released later in February 2017. Nino also fills here schedule with speaking engagements. In September, Nino spoke at two peace-building conferences outside of Georgia. At BuildPeace in Zurich, Switzerland, her topic was “Virtual Reality in Peace building”. The target audience was 100 professionals and developers from 42 different countries using technology, media and arts for conflict transformation. In Groningen Netherlands University Peace Days, she spoke to an audience of 80 students and faculty members of the University of Groningen on “Peace building in the Digital Age”. Nino is also involved in the Yung Talents Academy (YTA) funded by the U.S. Embassy. This program offers coding classes in 10 schools across 6 regions of Georgia. She is involved with Innovation Camp, which brings together fifty students (ages 10-15) and ten teachers for visits with inspiring leaders at technology labs in Tbilisi. The camp will result in the development of a website for Georgian youths interested in STEM. This summer Nino helped submit a proposal which received funding from USAID for Regional Youth Innovations Events. This proposal entails provisions for comprehensive trainings in a) Computer Engineering and Design and b) Innovations Management for 150 youth (aged 14-25) in 5 regions of Georgia. Additionally, the project features 5 two-day creative marathons where youth focus on social issues with the knowledge and skills they have gained throughout the program. Nino went to Banda Aceh, Indonesia in late October. The Elva team and the Acehnese Civil Society Task Force (ACSTF) set up an innovative advocacy platform designed to give victims of past violence and human rights violations a greater voice to lobby for concrete actions on transitional justice. Truth, justice and reconciliation will be promoted through high-quality citizen polling and a series of video testimonials. This is the first time Nino has taken the lead on an international project. Nino was also featured in an article about Flex alumni in Eastern Europe. 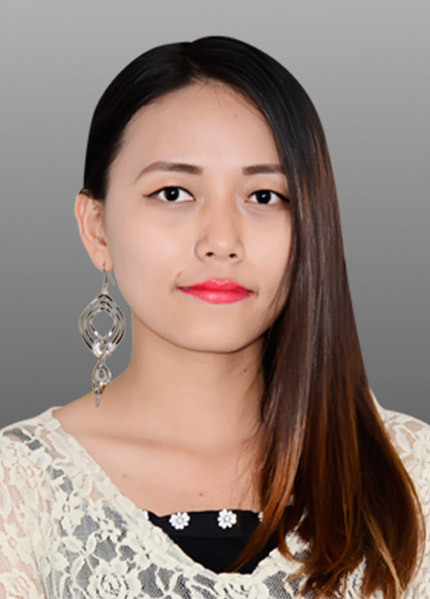 Thinzar Shunlei Yi from Myanmar/Burma is a coordinator for Yangon Youth Network and has organized two one-day youth forums to gather young people from four districts (45 townships in Yangon Region). These forums addressed Interfaith Dialogue, Human Rights & Democracy, Youth Policy Development, and Environmental Awareness. They submitted the same statement to ASEAN Youth Forum where young people from 10 different countries in South East Asia gathered to update the agenda on current political and social activities of this Youth Forum. In June and August, she organized a coalition with her Action Committee for legal reform regarding ward/village tract administration law with 6 other nation-wide organizations. The coalition was invited to talk in Parliament with the Bill Committee Chairman, the Home Affairs Permanent Secretary and associated commissioners as well as other MPs. The advocacy proved successful,l effectively engaging local communities with law makers. On August 20th, Yangon Youth Network organized its 3rd celebration of International Youth Day with the “Yangon Youth Festival and Youth Organizations Expo 2016” in conjunction with UN Volunteers – Myanmar and TawWin Family Company Ltd. On August 31st, she was selected as one of 13 CSOs’ representatives for a meeting with UN Secretary General Ban Ki Moon in the State’s Capital. She was the youngest person in attendance. As a steering committee member of Myanmar Youth Forum Working Group, Shunlei led the team in organizing the first National Youth Policy Forum together with Ministry of Social Welfare, Relief and Resettlement, a local ministry for the National Youth Policy Development. The event was held on November 16th & 17th of this year. In September, Shunlei represented Myanmar at the One Young World Conference in Ottawa. This global forum for youth leaders hosted over 1,300 delegates between the ages of 18 and 30 from 196 different countries. 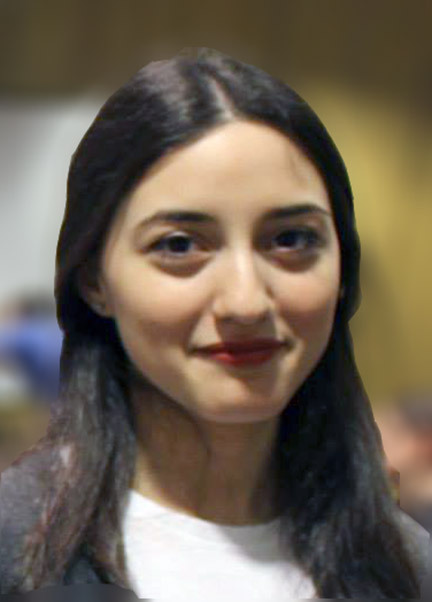 Shunlei applied for and was selected as a Delegate speaker. One Young World provides a platform for young leaders to speak alongside Presidents, Nobel Prize Winners, Global business leaders and other inspiring global leaders. Shunlei delivered a five-minute speech at the Peace and Security Plenary session (one of the six Plenary Sessions). Her speaker profile appears on their website. She met Kofi Anon, Sir Bob Geldorf, Emma Watson and Prime Minister Trudeau. 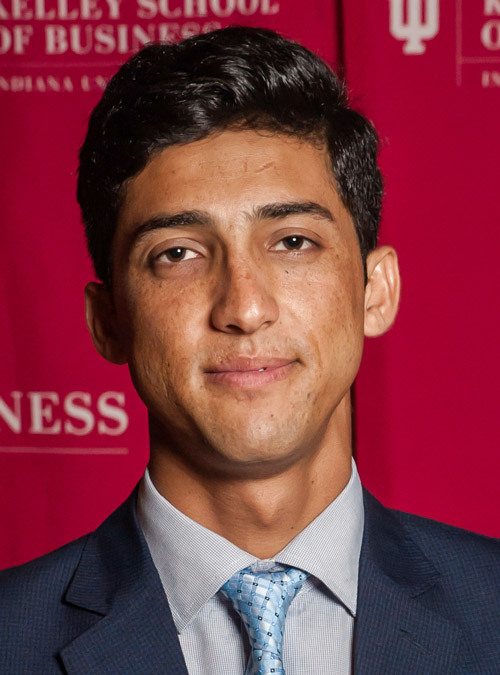 Shakib Mohsanyar from Afghanistan has a new position as the Business Innovation Manager at the Afghanistan Investment Support Agency. The Agency connects innovators to investors and promotes a culture of innovation in Afghanistan. For the past year, Shakib has been leading his country with an #AfghanistanNeedsYou campaign. Public awareness programs have been successfully completed in 34 provinces. In the past few months, Shakib and his team, organized five dialogue sessions in Kabul, Herat, Balkh, Kandahar and Nangarhar. These sessions brought together influential speakers, technical panelists and relevant stakeholders from across many sectors including civil society, the private sector, governmental agencies and international agencies to discuss the effects of brain drain and illegal migration from Afghanistan. The forums included spaces for young leaders to share recommendations and solutions. Over 2000 participants were inspired as a result of these forums. Practical solutions were collected to tackle this national crisis. All the recommendations, proposals for solutions, and success stories will be presented through a booklet in their upcoming “International Community and Afghan Government Support Event.” Senior government officials, President Ghani, CEOs and senior diplomats from international community and embassies are invited. The Afghanistan Needs You campaign completed phase one which included 20 different activities such as graffiti art installations, bulk SMS initiative, print media campaign, social media campaign, radio and TV commercials, and interviews from exiles. The most impactful activity is a series of inspiring videos from a variety of Afghani artists, celebrities, and journalists talking about why people should stay and give back to Afghanistan. In August, Shakib announced a partnership between Afghanistan Needs You and the Founder Institute Kabul Chapter of Partner Up. Through this exciting partnership Afghanistan Needs You offered five Fellowships for the Founder Institute Kabul Chapter’s 2016 Fall Semester. They have also partnered with a consulting firm to create the first social venture fund to empower entrepreneurship and creating economic opportunities. Shakib and his team have secured funding from the U.S. Embassy in Kabul for a public awareness program. They will expand to 50 schools across Afghanistan, create a documentary in refugee camps located in Greece and Turkey, an anthem, and expand the migration and brain drain research in four other provinces as well as doing three large graffiti installations in the Kabul mountains. In addition to all of this, Shakib is now the Executive Director of Sustainable Development for Future Organization (SDFO). SFDO is working on youth empowerment, leadership, education and social entrepreneurship projects. Right now, they have a fully equipped office space, located in central part of city and their team has expanded to 50 people across the country.